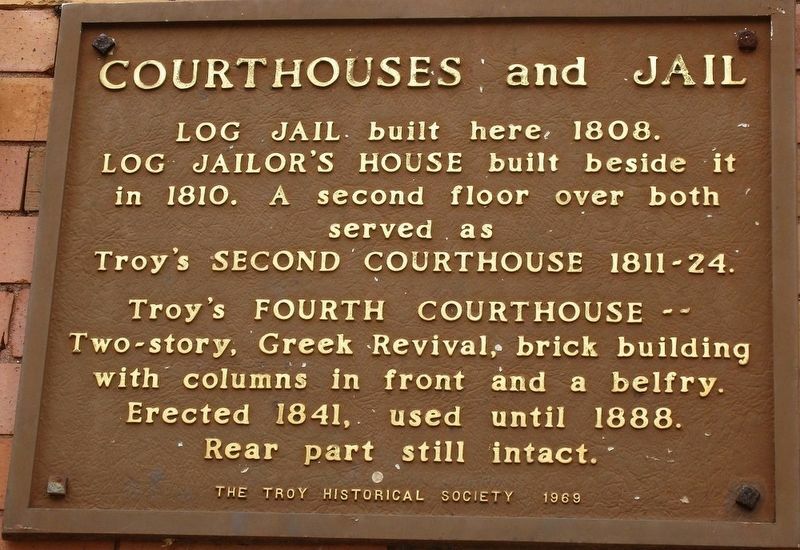 Troy’s second courthouse 1811- 1824.
with columns in front and a belfry. Erected 1841, used until 1888. Location. 40° 2.411′ N, 84° 12.298′ W. Marker is in Troy, Ohio, in Miami County. Marker is on West Main Street (Ohio Route 41), on the left when traveling west. Touch for map. 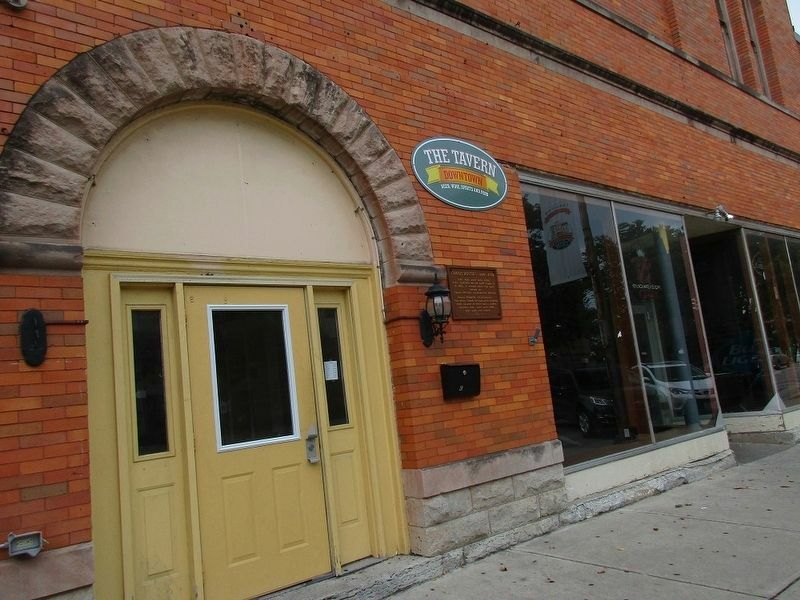 Marker is at or near this postal address: 122 W Main St., Troy OH 45373, United States of America. Touch for directions. (approx. ¼ mile away); Rose Hill Cemetery 1849 (approx. 0.4 miles away); Dilts Warehouse Plant No. 1 (approx. half a mile away). Touch for a list and map of all markers in Troy. More. 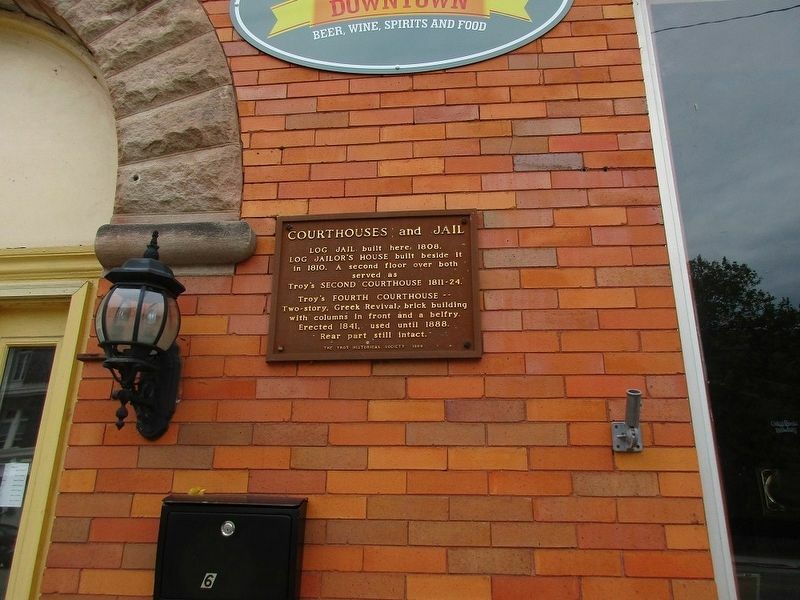 Search the internet for Courthouses and Jail. Credits. This page was last revised on August 25, 2017. This page originally submitted on August 23, 2017, by Rev. Ronald Irick of West Liberty, Ohio. This page has been viewed 81 times since then and 6 times this year. Photos: 1, 2, 3. submitted on August 23, 2017, by Rev. Ronald Irick of West Liberty, Ohio. • Bill Pfingsten was the editor who published this page.